A new version of Suspiria, the Italian horror staple by filmmaker Dario Argento with music by the prog-rock outfit Goblin, hit theaters on Friday — and among its most buzzed-about details is an original score by Radiohead frontman Thom Yorke. Listen to the radio version of this report below, featuring appearances from director Luca Guadagnino and Goblin’s Claudio Simonetti. Read on for Tim Greiving’s full conversation with Yorke about tackling his first film score. 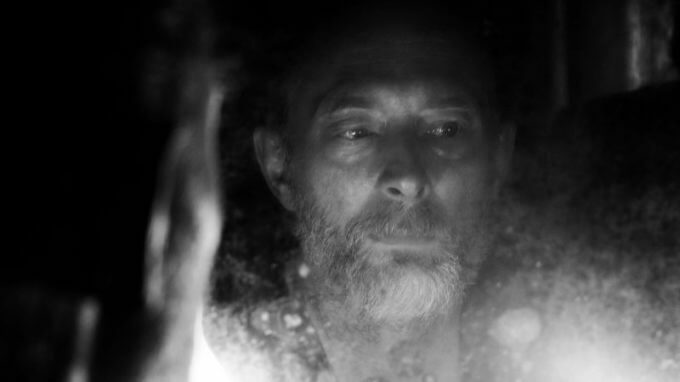 What was it about Suspiria that made Radiohead‘s Thom Yorke want to try film scoring? Many of his rock peers, like Trent Reznor and Yorke’s own bandmate Jonny Greenwood — the Oscar-nominated composer of There Will Be Blood and Phantom Thread — have been pumping new, bohemian blood into soundtracks for several years, but Yorke had stayed out of it. Until now. Tim Greiving: Is it true you’ve been asked to score other films in the past? Thom Yorke: Yes, sort of: I was tentatively asked to do Fight Club back in the day, but I wasn’t really capable of doing a score at that point. I’m not sure I’m capable now, but here I am [laughs]. There was something about the way Luca asked me, the confidence he had that I could actually do it. If was ever going to get stuck into doing a soundtrack, this felt like a really nice place to start — a horror film about such a strange subject. What was your familiarity with the original film and score? I’d seen it. I was a fan of Goblin. But I’m not a film buff of that period, at all. I probably should have been very intimidated about the whole thing, but I wasn’t. When I went back and watched the original, I thought, well, OK: The way this is put together is just like a painting. And what Goblin were doing is so incredibly intense. There’s no point in trying to to emulate that. There was this pervading sense of melancholy from the [new] script, which I thought was really unusual for a horror film. It’s almost like a study in ritual, or collective female energy, or dance. It hasn’t got the normal horror film bits and pieces — except for extreme violence, and frightening things happening. But not “horror” in a format way. Did you write any of the dance music before filming? No, I wish. Although to be fair, that was the thing that sort of hooked me in the most: Damien Jalet had already choreographed the dance, so because I was coming into it quite late, I had to compose something to a dance they’d already done. One’s instinct in that sort of situation is to respond to the movements of the dancers. I had four or five aborted attempts at doing that before I realized that I had to sort of disconnect myself from the dance: go somewhere in my mind, then come back. It was a weird process. But all the way through it, I had this obsession about trying to use the cinema space, the surround-sound thing — really use it. Like, put one part of the melody in one speaker, another part delayed in another speaker, to give the cumulative effect of a melody scattering around the space. Then, Walter [Fasano] the editor, suggested something. I was trying all this percussion to go with all the movements, and he said, “We have what we’ve recorded.” All the dancers’ feet banging on the ground, and all the swishing of the weird garments they’re wearing. So it’s this bizarre combination of events that turned into the final thing. So you started writing after the film had been shot completely and edited? Oh no, it was more complex than that: I had the script first, and I got quite a lot of stuff [written] before I saw anything. I had the idea for “Suspirium,” the main song piece, just from reading the script: this idea of a troupe of witches in a weird form of sadness, trying to cheat death. I had the feeling that the more stuff I generated at the beginning, before I really understood what they were shooting, the more there would be that sense of it not being literal, not interpreting what I’m looking at. The thing that Jonny from Radiohead, advised me about was, don’t work to picture if you can avoid it — try and do as much as you can off picture, just with your impressions of what’s needed. Which was really helpful. If I’d been sitting there watching the dancer throwing herself against the mirror, dismembering herself, breaking her bones into pieces and screaming, and tried to write something directly to that, I would have gone mad. This is one man’s opinion, but I love the vocal element in this score. It doesn’t feel like a rock star indulging himself: Your voice here feels like just another part of the orchestra, another color in the emotional palette. I was hoping that the vocals would feel like part of the score. The worst thing that could happen would be if, every time my voice appeared, it would be some form of — not exactly distraction, but like a clashing bell against whatever else was happening. I was also really conscious of the femininity of the film, and that the identities of the songs were not necessarily my identities. There’s a weird sort of license to not necessarily be me singing. Which sounds daft, because it was me singing. Do you feel like there is a femininity in your falsetto? Yeah [laughs]. Definitely. But at the same time, any excuse to mess with the sound of my voice is always welcome. There’s one piece called “A Choir of One” where I just did all this microtonal, shifting voice stuff using vari-speed. That was one of the things I enjoyed the most, because it becomes this sort of manual challenge to do endless, endless takes of vocals, all shifting against each other. The setting of Germany in the late ’70s makes me think of David Bowie and Kraftwerk. Were those influences on your mind at all? Absolutely. I mean, breathed a huge sigh of relief because I could use some of my favorite synthesizers, I could refer to krautrock. It’s like a nice indulgence that there are all those references there. The joke is, I’m working predominantly in a digital studio, using equipment to imitate these things. But it’s a nice place to start from; you can find something else in it when you go back. There’s a lot of sonic experimentation, and even quasi-sound design in the score. What am I hearing? A lot of it is modular gear. It’s a new addiction for musicians of my age and younger, and there’s a few pieces of equipment I found that just had exactly what I was looking for. I never really got into that stuff before, properly. I’d always left that to Colin [Greenwood] and Jonny. But I’d built my own studio, so the film was in some ways an excuse to start really experimenting. I was doing a lot of time-stretching, which I’d not really done before. Piano has all these fantastic harmonics — even when you record it really badly — that you can bring out and create their own particular things. Did writing “creepy music” come easily for you? Did you have previous scores or music in mind when you were trying to make the music terrifying? No, I don’t think I listened to much horror music at all. Weirdly, I went back and listened to Morricone. I listened to Wendy Carlos. I spent a lot of time listening to bits of musique concrète, and more out-there modern composers — and found that stuff more frightening. Horror music can fall into a trap of trying to be dark for the sake of it. What’s great about the original [Suspiria] score is that they use an insistent repetition, which just drives you to the point of distraction. They compress the sounds, and they’re really in your face, like they’re squashed against glass. So that made me think, well, there’s lots of different ways to make something terrifying. Right. You can accelerate the heartbeat, or create an atmosphere of dread. Fundamentally, the essence of what is disturbing in sound is when frequencies and tones fight against each other — no longer in harmony, you know? Which is why Penderecki is terrifying, because it’s all about frequencies fighting each other. And it simply depends on what instruments you use to make that happen. I just did a story on John Carpenter, and the way he’s approached “scary music” is actually from his background in rock music: He creates these riff-based, kind of hypnotic, almost danceable pieces of music. Do you think of this soundtrack as kind of a concept album, or a proper Thom Yorke album? I’m surprised how much of an album it ended up being. Because you are working to someone else’s request, and you don’t expect that you would feel such a strong sense of identification, or that things would hold together in their own way. I was really excited when I discovered that what Luca had done was push me into these odd places, and that I was going to somewhere darker than I realized. In the context of what I’ve done before, that was a blessing — a way to find something new, that you didn’t know existed.